SalespersonTraining is an informative site that showcases the real estate industry's foremost leading technology companies that will put you ahead of the curve. Be in the know about what your clients have access to, and what you have access to for your clients. Gain the upper hand by staying informed, and learning how to master the tools these companies have provided to you, so you can be the best and most effective real estate salesperson in the business. Stay up to date on the latest industry news. All of your real estate news is now in one place! Watch videos, attend seminars and networking events, all for free. Sharpen your skills today! 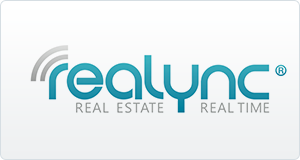 ReaLync is a real estate technology company focused on providing buyers and renters real experiences of properties. We are transforming the online real estate experience by infusing real time interaction into real estate searching and touring. Our technology simplifies and enhances the real estate touring process by providing both brokers and clients a more efficient, convenient, and cost- effective way of showing and touring properties, all while preserving the power of the personal experience and live dialogue. The ReaLync platform enables agents and brokers to not only generate new leads by broadcasting their open houses online to a global audience of potential attendees, but then service those leads in new, innovative ways with live private virtual tours. All of these experiences are catered, live video that is fully interactive providing clients with property information, detailed maps, the ability to take photos or notes, and have the entire experience saved on the cloud for later review.